This page is where I say thanks to everyone who have been so kind and contributed to my elective. 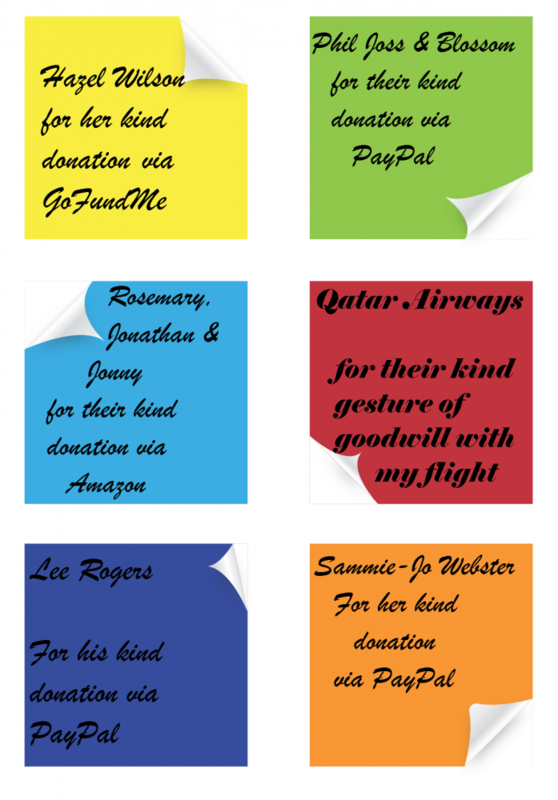 My thanks include all of the following: donated items, advice, cash, items from my wishlist and corporate sponsorship. I do, sincerely, hope that I haven't missed giving my thanks to anyone. Once Karen is back from Tanzania, w/c 28/08/17, she will be further updating this this page to fully reflect all those who have helped her before and during the elective.